This blog’s author will be on hiatus for a while. The following averages 6 people so I doubt this will impact anyone’s life all that much 🙂 In the meantime, I will concentrate on the Maranatha Devotionals and the Teen Girls’ Devotional. Thank you to those who have followed until now. What would we do without the Lord in our lives, dear lady? Look at Corrie Ten Boom! Wow, if anyone should have been weary, it was her! I wonder if today’s Bible verse went through her mind a time or two? 🙂 But notice that when we wait on the Lord to work in a situation, He renews our strength! Yes, we’ll get weary – yes, we’ll get discouraged. But God promises that He will give us strength exactly when we need it. Those ever impossible situations will open up into “do-able” ones because the Lord has given us wings as eagles and promises that we will be able to run! That tells me that the lost family member is not a hopeless situation. If I stay faithful, and remain centered in Christ, no matter how hopeless it appears, I will get the strength I need to move ahead!!! This lady is now going to be a “lady in waiting” when it comes to trusting Him with the outcome of all things in my life!! 🙂 How about you? I’m assuming that anyone reading this is born again and has made a commitment to follow Jesus Christ. How serious is your commitment? Is it only a part-time commitment or a full-time one? Notice today’s verse has an urgency about it. “If thou seek him with all thy heart and with all thy soul.” That’s not just a a part-time thing. 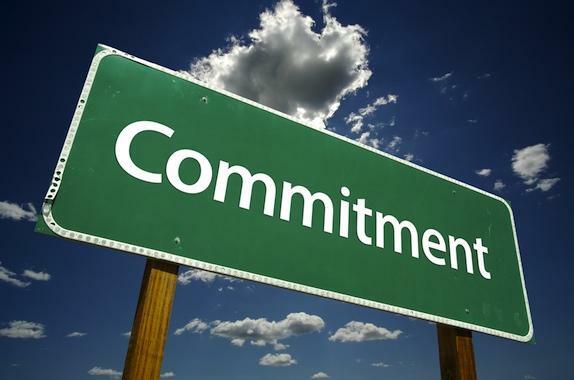 It’s a commitment to the things of Christ with 100% of your whole being. How committed are you today, dear lady? Reading today’s verse had me in a “baptecostal” fit, LOL! 🙂 Not only are you and I blessed to take part in the first resurrection (Rapture), ladies, but we are considered HOLY! Stop and meditate on that for a moment. I’m most definitely NOT holy. However, because of Christ and His payment for my sin, I am made holy in HIS righteousness! Amen? Once you wrap your head around that, you’ll start your own baptecostal fit! 🙂 That’s when you realize that it is by Him alone – His grace alone – that we are saved. Not of ourselves – there’s nothing we can do to add to our salvation or the outcome. The Father sees the Apostle Paul and you in the same light – the light of Jesus Christ, His Son. As if this little nugget isn’t enough, we know that the second death has no power over us. We are free from that. Hallelujah what a Saviour!!! Oyyyy, today’s pic speaks volumes, doesn’t it? I’ve been the person in that chair before and it’s not pleasant at all! But have there been times that you have been the person standing up doing the yelling? Speaking one’s mind is the thing to do these days. In today’s world, one is considered a coward if she doesn’t say what’s on her mind. This has gotten quite out of hand, actually; to the point of being a bully! But what does God’s Word have to say about speaking our minds? I’m not talking about sharing your heart when there’s conflict. That’s not what I’m saying at all. We wives share our hearts with our husbands when we disagree with them. It’s all in the attitude, amen? You can speak sweetly and get your point across. Kate is void of understanding. Kate is void of sound judgment and weak in intellect. Kate is unwise; Kate is imprudent; Kate is acting without judgment or discretion. Kate is silly and vain. Kate is dispicable and ridiculous. Kate is depraved and sinful. Kate speaks and repeats loud words; Kate is noisy and turbulent. Ouch! Let’s pause for a moment while I lick my wounds! 😉 This verse is packed with instruction. Our “How To” Manual, the Bible, says it perfectly! Our hearts have to desire to change. We remain miserable only when we remain fixed and continue to walk down our current path. Change can only happen when we allow the Holy Spirit to guide and direct. He will never lead us down the wrong path, amen? He wants to teach us and to mold us into the image of Christ. That is the Holy Spirit’s job, after all. So as we look at that uphill path of spiritual growth, let’s remember that the changes will bring glory to the Lord! So what must I do to change? I believe that acknowledgment of my sin is the best place to start. The Holy Spirit will reveal to me exactly what I’m guilty of and those statements above will pop right out at me… and they do! Then once I have acknowledged those areas, I seek the Lord’s forgiveness and move on! It is then that the Holy Spirit can work with a yielded heart and start a work of “opposites.” I can now gain wisdom and not be void of understanding or weak in intellect. I can now become wise through the Scriptures. As a result, I will no longer be silly or vain, etc. etc. I think you get my drift! Lord, reveal to me those areas where I am weak. Help me to be molded in your image and help me to yield myself to the Holy Spirit! Father, I would rather be a virtuous woman than this foolish woman of Proverbs 9:13. Forgive me, Lord! Restore me and mold me into the image of your Son, Jesus, for it’s in His name that I pray! Amen. There have been times in my life that I was convinced that what I had was just not good enough. Have you been there? I certainly hope I haven’t been alone! 🙂 I can see where my efforts to gain what I thought would be good for me turned into such a big mess!! Oh how I messed up those situations … royally! I could just kick myself for having jumped ahead of God! Having things my way put me in an absolutely awful place. I struggled and struggled because I chose to do things my way instead of seeking the Lord’s will in the situation. What I was telling God was that I thought I knew better than Him. I wasn’t content with what He had given me! Paul tells us that godliness with contentment is great gain. Had I sought the Lord’s will and waited on His direction, I would not have been miserable in the end (vexation of spirit). Instead I was so miserable inside for the mess that I had gotten myself into. Oh I surely sought Him after that! I needed someone to clean up my mess! But the Lord allowed me to stay in that mess for a while to teach me that when I wait on Him, my soul will be quieted within me. There is peace in waiting on Him, although it doesn’t seem that way at the time. You would think I would have learned from that mistake, but I didn’t. I repeated it a couple more times before I learned that lesson! Thank You, Lord, for Your patience with me! 🙂 It is only recently that I was hit with the proverbial two by four and woke up to that little truth. The truth is, had I turned to the Father, who loves me and is always Good and ONLY Good, I would have been told to wait on Him. That is where the “godliness with contentment” comes in. Contentment cannot be achieved without God. The world is constantly telling us to want “more.” But God says to be content with what we have and wait! I’m commanded here to not only wait but to be of good courage. This is where I failed in my previous attempts. I was not of good courage. Instead, I dwelt on the fact that I wasn’t getting what I wanted and it enhanced the discontentment in my heart. Now I have learned that when I wait and “am of good courage,” the Father will strengthen my heart. He will mold me into the image of His Son. Do you see Christ as being discontent anywhere in the Scriptures? Thank the Good Lord that He was not or He would not have died that miserable death to pay for our sins! Praise Him! So dear Christian lady, are you discontent today? Don’t be the stubborn mule that I was but learn from my mistakes. It will bring you heartache if you continue in that state, as it did me. Instead, be like Paul and learn to be content no matter what trial or situation you have been given. The Lord allows these to train us and to mold us. The Potter is molding His clay – allow Him to do this in your life! Then you can say with Mr. Spafford below that that it is well with your soul!